Below is a sample of some of the resources we recommend. In addition to these, we also have a wide variety of pamphlets, videos, and other literature in our Information & Resource Center in Orange. If you would lke additional information, please contact us. Would you like to find out more about Jesus Christ and what he has done for YOU and how following Joseph Smith will affect your life and your eternity? Visit the video section of www.goodnewsforlds.com to watch the video Jesus Christ / Joseph Smith which has been produced using LDS Church documents, Joseph Smith's teachings and other historical documents. Listen to the Director of Ex-Mormons for Jesus interview on K-WAVE, 107.9 Los Angeles, which broadcasted November 2009. 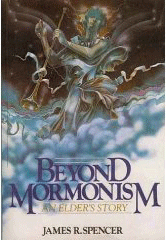 The following books can also obtained at the Ex-Mormons for Jesus Information & Resource Center. From his in-depth research of Mormonism, Bill McKeever takes the puzzling and often perplexing questions that Mormons are taught to ask Christians and answers them from the Bible in a simplified, straightforward manner. It provides quick and easy access for lay-Christians to answer the actual Mormon visiting their homes or through other contact. Questions ranging from the inspiration of the Book of Mormon to whether Mormonism's fast growth is proof of its truthfulness are examined in the clear light of God's Word, the Bible. The story of James R. Spencer, a former Mormon Elder, coming to faith in Jesus Christ. Mr. Spencer left the Church of Jesus Christ in 1974 and eventually became a pastor of an Evangelical church, and then went on to write eight books. 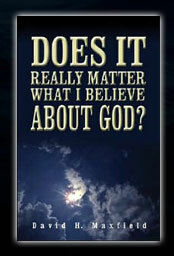 Author David H. Maxfield explores all the possibilities, and raises an additional question, what if it matters to God what you believe? The author guides us through the maze of various beliefs as he reveals the source of confusion. Answering the question Does it really matter what I believe about God will have an impact on your life now, and forever. 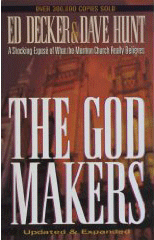 The classic bestseller on the inner workings of the Mormon Church, "The God Makers" (300,000 copies in print) has been updated and expanded. Cutting through the wholesome image projected by the Church of Jesus Christ of Latter-Day Saints, the book reveals startling truths about the beliefs and practices of Mormonism. "The God Makers" helps prepare people for witnessing to Mormons and encourages Mormons to discover and develop a personal relationship with the biblical Jesus. A riveting testimony of a woman’s search for truth. This unique book will help you understand the powerful, spiritual experiences behind a Mormon’s testimony. Mormonism, Mama & Me is the intensely personal view of "Granny" Geer's life, her Mormon heritage, and her conversion to Jesus Christ. In addition to her story, she contrasts important tenets of the Morman faith with biblical truth. 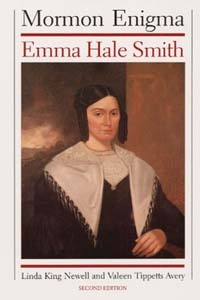 The finest book written on the life of Joseph Smith which, when first published, rocked the foundation of the Mormon Church. A prime source for information of Joseph Smith. This story tells how the author and her husband got involved in Mormonism and why they left. It will provide insight into why so many people are persuaded to join this cult. An essential witnessing tool of primary documentation via photo-reprints of rare and out-of-print LDS sources. 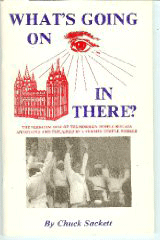 The secrets of the LDS temple rituals by a former temple worker (includes an insert showing temple changes that were made in 1990.